It is with immense sadness that we announce the passing of our beloved father, colleague, friend and Former President of the MJC, Moulana Ihsaan Hendricks. 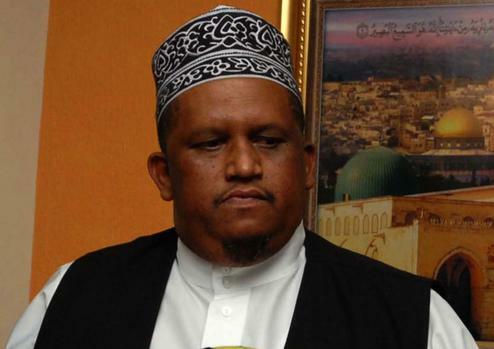 “Moulana was known as a visionary with outstanding leadership abilities, oratory skills and a passion and willingness to serve the community,” said MJC President Shaykh Irafaan Abrahams. May Allah Almighty grant our illustrious Moulana Ihsaan Hendricks the highest stage of Jannah Ameen. “May Allah Almighty grant the community of Cape Town and South Africa, leaders who will follow in his footsteps and continue his vision of serving humanity for the sake of Allah Almighty Ameen,” concluded Shaykh Abrahams. The mayat (deceased) will leave from his home at 11 Oasis Road, Hazendal at 16h15. They will proceed to Masjidus Salaam in St Athens Road, Athlone and thereafter to the Johnson Road Cemetery.